The Weekly Standard is a right-leaning conservative magazine that covers American national and international political issues. 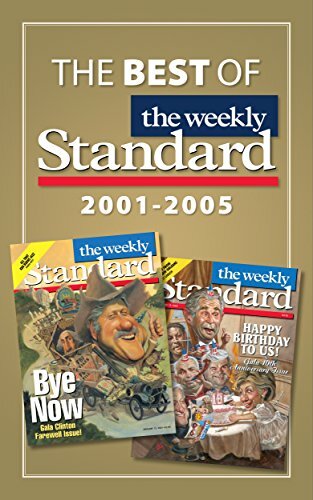 Founded in 1995 by William Kristol and Fred Barnes, the Weekly Standard has since became known as “the neo-con bible” for many American conservatives. The Standard regularly features opinion articles written by some of the most prominent members of Washington D.C. conservative think tanks, such as the Foundation for Defense of Democracies. Notable contributing voices in the magazine include Peter Berkowitz, David Brooks, Gertrude Himmelfarb, Harvey Mansfield, Ellen Bork, Joe Queenan, Tucker Carlson, Brit Hume, PJ O’Rourke, and many more. The magazine is published 48 times a year and is now owned by Clarity Media Group after a transfer of ownership in 2006 from its founding publisher, News Corporation owned by Rupert Murdoch. The Clarity Media Group also operates other conservative publications, including the Washington Examiner and the San Francisco Examiner. The Standard became an official fact-checking partner for Facebook in December 2017, the first conservative publication to do so. In each issue of the Weekly Standard, readers can find feature stories on current issues, including the national debt and the mid-term election. Editorials are another key component to the magazine, with the latest arguing for Medicare for the masses and against Bashar al-Assad’s military activities. 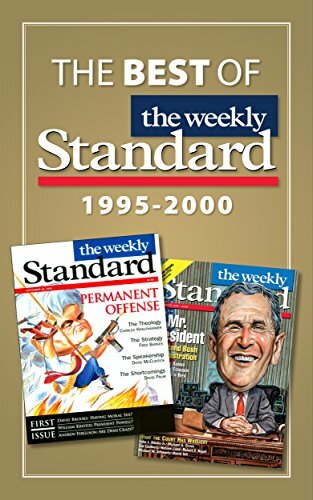 In addition to features, commentaries, and editorials, the Weekly Standard also publishes in each issue a number of news-like articles intended to inform and educate its readers. Most recently, the magazine’s articles discuss in broad details the ramifications of a particular candidate’s actions and inactions during the mid-term election. “Jacky Rosen Should Be Pulling Away From Dean Heller in Nevada. Why Isn’t She?” reads one article. Other articles include: “Battle for the Senate: Will the GOP-Friendly Map Be Enough to Overcome an Unpopular President?”, “The Truth About Georgia’s Voter-Registration Kerfuffle”, and “How Josh Hawley Became a Likeable—and Viable—Candidate for Senate in Missouri." For readers who are looking for something more light-hearted, the Weekly Standard’s Books & Arts section features reviews on books, movies, acting classes, and art. In the Scrapbook section, readers will be enlightened by the Standard’s tongue-in-cheek articles about current social and political issues. Here, readers will find slightly comical criticisms of liberal-leaning publications, as well as political cartoons that may sometimes speak louder than the articles they accompany. For a special 2018 Halloween edition, the magazine published a political cartoon of Nancy Pelosi holding a pumpkin candy bucket, and in the word bubble are the words “I’m Speaker Pelosi. Hand Over Your Paycheck.” Finally, The Weekly Standard’s parody section features funny stories intended to poke fun at political leaders and current topics. Stephen F. Hayes is currently the Editor-in-Chief of the Weekly Standard. He is also a regular contributor to “Fox News All-Stars.” His work has been published by the Washington Post, the New York Times, the Wall Street Journal, Reason, National Review, and more. Stephen F. Hayes was also the author of three books: The Connection: How al Qaeda’s Collaboration with Saddam Hussein Has Endangered America, Cheney: The Untold Story of America’s Most Powerful and Controversial Vice President, and The Brain: Paul Wolfowitz and the Making of the Bush Doctrine. Stephen F. Hayes often writes about issues concerning the political landscape in America, as well as international politics. 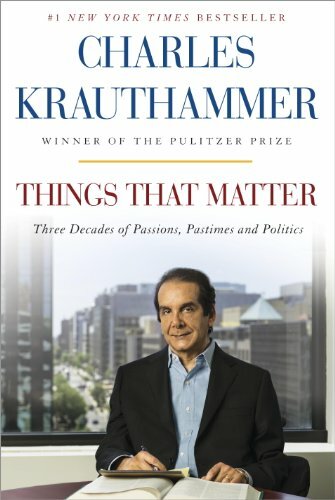 Prior to joining the Weekly Standard, he was a commentator on CNN and a member of its “Best Political Team on Television.” He has also appeared on many television and radio shows, including TODAY, Good Morning America, The O’Reilly Factor, HBO’s Real Time with Bill Maher, Hannity and many more. Stephen F. Hayes was born in Wauwatosa. Wisconsin. He graduated from DePauw University in Greencastle, Indiana, and then a Master’s of Science degree in Journalism from Columbia University’s Graduate School of Journalism. Fred Barnes is the Executive Editor and co-founder of the Weekly Standard. Prior to joining the Weekly Standard, he worked for the New Republic as a senior editor covering everything from the Supreme Court to the White House. He also worked as a political correspondent for the Baltimore Sun and as a contributing columnist for the American Spectator. He is also a regular commentator on FOX News and the co-author of Jack Kemp: The Bleeding-Heart Conservative Who Changed America. Fred Barnes is a graduate of the University of Virginia in Charlottesville, Virginia. Robert Messenger is an Executive Editor of The Weekly Standard. Prior to joining the Weekly Standard, he worked at the Wall Street Journal as a books editor, and at the Atlantic Monthly as the deputy managing editor. He is the creator of the New York Sun newspaper. His work has been featured in the Wall Street Journal and the New Criterion. His most recent articles include: “Victor Davis Hanson," "Churchill’s friends & rivals," “The Bragard Soldier,” and “Gossen Tippa Pilot Guided Noel Coward’s Last Words." Christine Rosen is the Managing Editor of the Weekly Standard. Prior to joining the Weekly Standard, she wrote extensively about technology and bioethics as the founding editor of the New Atlantis. She is the author of The Extinction of Experience, an upcoming book about technology and culture. Christine Rosen has also written Preaching Eugenics: Religious Leaders and the American Eugenics Movement and My Fundamentalist Education. In addition to being an editor for The Weekly Standard, she writes for Commentary magazine about cultural issues. Her work has been featured in the England Journal of Medicine, the Wall Street Journal, the Washington Post, the New York Times Magazine, the American Historical Review, and more. Christine Rosen is a graduate of Emory University in Atlanta, Georgia. Her most recent articles include: “Facebook Employee’s Revealing Tantrum Over Conservative Exec Joel Kaplan,” “When Life Gives You Lululemons’ review: Suburban Style," “Farewell to Champagne Wishes and Caviar Dreams," “#MeToo Hypocrisy and How to Lose an Easy Election," “Asia Argento, Avital Ronell, and the Dangers of MeToo Hypocrisy," and “Cops Took Advantage of Unregulated DNA Market to Nab Joseph James DeAngelo." Eric Felton is a Senior Writer at the Weekly Standard. He is also a freelance columnist for the Wall Street Journal where his column “How’s York Drink?” won the James Beard Foundation Award. He is also recognized for his arts and culture columns “De Gustibus” and “Postmodern Times.” Aside from being a writer and journalist, Eric Felton is the singer, trombonist, and bandleader for the Eric Felten Jazz Orchestra in Washington, D.C. His work has been featured in the Wall Street Journal, the Daily Beast, Voice of America, RealClearPolitics, and RealClearMarkets. Eric Felton is a graduate of Harvard College in Cambridge, Massachusetts. Christopher Caldwell is a Senior Editor at the Weekly Standard. In 2009, he wrote a book titled Reflections on the Revolution in Europe: Immigration, Islam and the West. He is also a regular contributor to Slate magazine, the Atlantic Monthly, the New York Press, and Financial Times. His work has been featured in Truthdig, the Wall Street Journal, and the Washington Post. Christopher Caldwell also worked as an editor for the New York Time Magazine. He is a graduate from Harvard College in Cambridge, Massachusetts. His most recent articles include: “Italy’s Battle With the European Union Is About Much More Than the Budget,” “The cynical rise and painful fall of the euro,” “Erdogan’s Re-Election in Turkey Does Not Signal a ‘Crisis of Democracy,” “Understanding the Enormous Popularity of the Murderous Rodrigo Duterte,” and “Italy’s New Euroskeptic Government Schools Macron and France in Immigration Battle”. The Weekly Standard magazine is the gateway to conservative right-leaning reporting on current issues and political commentaries written by prominent personalities in Washington think tanks.